Rubbing alcohol is often used to treat minor wounds, scrapes, and cuts, but can rubbing alcohol be an angular cheilitis remedy Learn various angular cheilitis remedies. too? 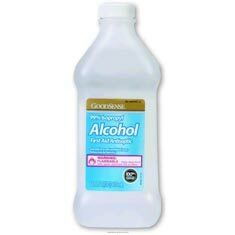 Rubbing alcohol is antibacterial, which means that it will kill/weaken bacteria. If your angular cheilitis is caused by a bacterial infection, then rubbing alcohol may help to kill the bacteria so your body can recover more quickly. However, angular cheilitis can sometimes be caused by a fungal infection and rubbing alcohol does not kill fungus. This means if your angular cheilitis is caused by a fungal infection (or a fungal and bacterial infection), rubbing alcohol by itself will not cure the angular cheilitis. Angular Cheilitis Tea Tree Oil Will tea tree oil help to cure/treat angular cheilitis? Find out.